Many times our customers will have done some tree trimming, pruning and brushing themselves only to discover the pile of branches, limbs, and sticks in overwhelming. A little of this material can be discarded via their trash can and weekly trash service, however, if it amounts to too much debris, they often find themselves with more than they can reasonably be handled. Naturally we use our chippers on each job when we perform tree removal services, trimming and pruning; however, we offer just chipper service to our customers that have done their own tree service yet find themselves with just too much yard waste. Our chipping service can include moving the debris from part of the property to the street where we always locate our chippers. 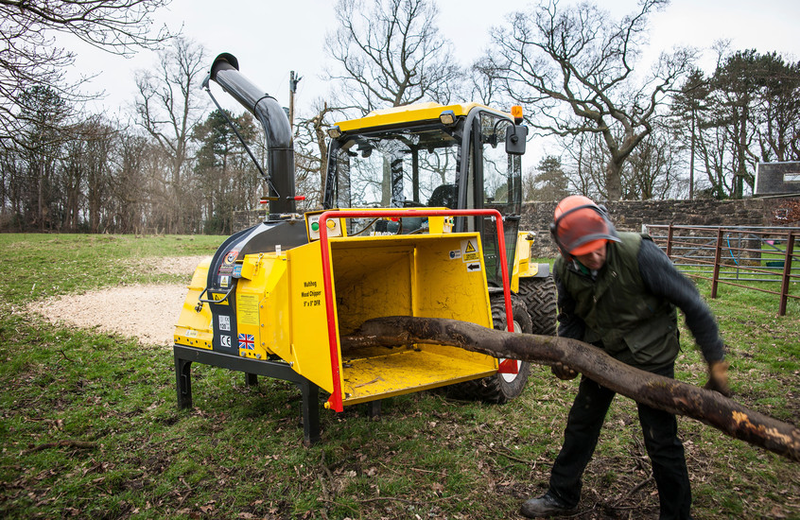 We never wheel our chippers through your yard, potentially damage your lawn and landscape planting. We off free estimate for chipping word, generally estimated by the volume of the tree and brush debris. While home and business owners can rent chippers, dealing with the noise, dust, and wood chips can be overwhelming to most DIYers. A major benefit of using Cleveland Tree Service for all your chipping needs is that we will remove the wood chips if you like. Alternatively, we offer a landscape service to capture these wood chips from the chipping process and distribute them around your landscape as natural mulch. Either way, having Cleveland Tree perform all your wood chipping services will save you time and money, not to mention safety. As you consider trimming and pruning your own trees, also consider, instead, using our professionals to do so. Tree trimming and pruning is part science and art, so consider the proper ways to perform this tree service on your own. You may find between the skills required to trim or prune and the vast amount of tree debris even a small job can produce, using the professionals at Cleveland Tree is a wise consumer decision.